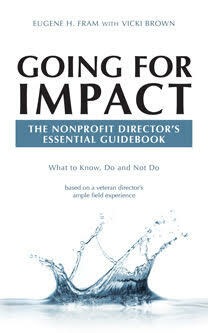 ← Does the Nonprofit CEO Need to Go? This is a good post Eugene. This can happen on any board, and I have seen it. It requires an active, inquiring, knowledgeable board with the right demeanor and integrity. Appropriate comments and disagreements should be allowed, requested, expected and accepted without hurt feelings or retaliation. A board member who does not sufficiently participate should resign or be dropped. Suing the contractor – that depends on the facts and circumstances, both legal and otherwise. Dave Tate, Esq., http://directorofficernews.com.